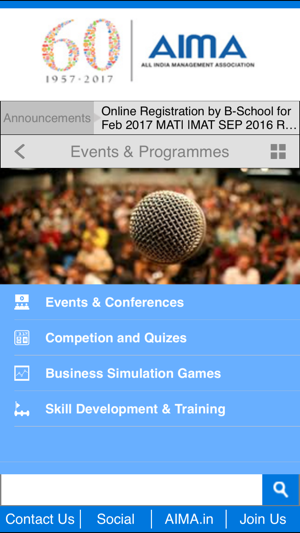 The AIMA iOS application is part of a broader initiative to improve the mobile experience of members, students, faculty, professionals and anyone else who interacts with or wants to learn more about All India Management Association. 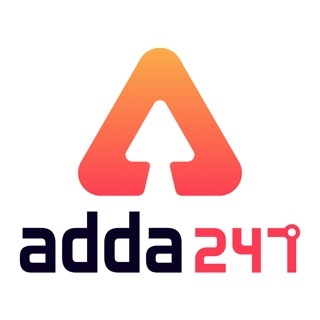 We will continue to develop, expand and improve this application. We welcome your ideas and feedback. 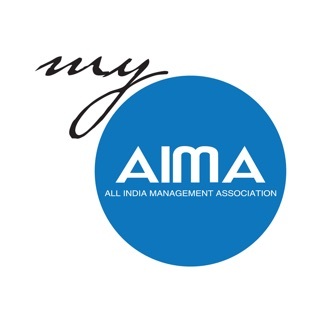 The All India Management Association (AIMA) was created as an apex body of professional management with active support of the Government of India and Industry in 1957. 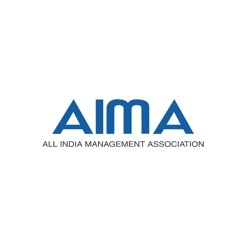 AIMA is a group - a body to pool management thoughts in the country, a forum to develop a national managerial ethos, an organisation to facilitate the furtherance of the management profession in the country. AIMA has established close linkages with over 3000 institutions and over 30,000 individual professionals directly and through network of the Local Management Associations (LMAs). 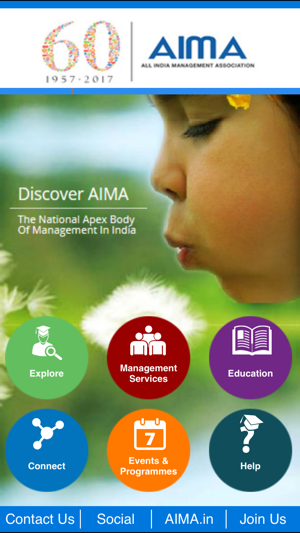 AIMA today affiliates with 62 LMAs across the country and 2 co-operating management associations i.e. Qatar Indian Management Association and Mauritius Management Association. 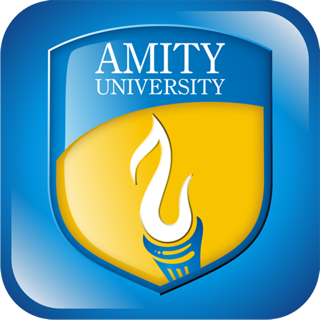 AIMA’s activities include Distance Management Education, Management Development Programmes, National Events, Competitions, Skill Development & Training, Research, Publication and Testing Services.